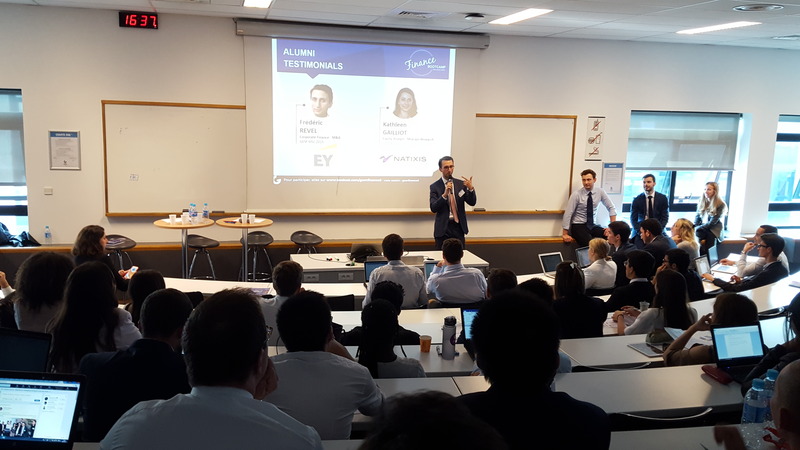 GEM finance society student Maël Rohrig reports back from his interview with Frédéric Revel (M&A at EY). As they explained, people in M&A are like real estate agents. Indeed, when companies appoint EY to help them to be sold, the M&A department at EY must find the proper way to sell them at the highest possible price. It is the same thing when EY is mandated to find companies for a merger or an acquisition. When companies appoint the M&A department of EY, they must make an “info memo” in which a detailed presentation of the company is done. In this document, business plan elements can be found. A little part of this document is shown to the companies that might have an interest. Thus, EY sends this “teaser” to interested parties. Then, if a buyer company is interested, they can sign an NDA (non-disclosure agreement). It allows the buyer company to have total access to the “info memo”. Then, if the company is still interested, it is granted access to the data room. It is where all the confidential documents of the company are stored such as all the contracts. Then the buyer company can make an offer under specific conditions. After that, they negotiate the SPA (share purchase agreement). When the transaction is made, companies must pay the second part of the fees to EY. In the M&A department there is a real multidisciplinary approach. Thus, there is no market separation with employees who are specialized in specific markets. Therefore, every employee can estimate the future value of companies, whatever their sector.